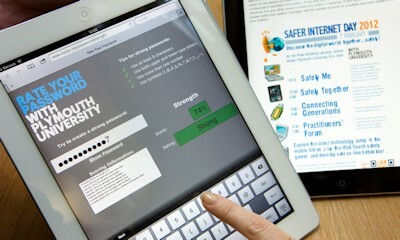 At the 2012 Science and Technology Showcase, the Centre for Security, Communications and Network Research (CSCAN) introduced the Password Meter. Although password strength meters are commonly found on website registration pages, our aim was to implement a visual representation of the strength of a password. Since the showcase, the meter has featured at open days, further showcases and a number of University Safer Internet Day's. Paul Dowland designed and built the meter using wooden panels for the main structure controlled by a USB relay controller connected to a standard laptop. The meter is often used alongside another of Paul's inventions the 'Identity Booth'. A web implementation of the meter is also available for public use.